MEETING - US President Donald Trump arrived on Tuesday in Hanoi, to meet with the North Korean leader Kim Jong-un. The latter has traveled to Hanoi by train. The journey from Pyongyang to Vietnam took more than two days and traversed about 4,000 km. Kim Jong-un will meet the US president for a brief one-on-one conversation, followed by a social dinner. The two leaders’ meeting comes eight months after the historic summit in Singapore, the first between a sitting US president and a North Korean leader, which failed to produce concrete results on a path to denuclearisation. B9 - Romanian President Klaus Iohannis on Thursday will attend the Bucharest Format (B9) Summit to take place in Kosice, Slovakia, the Presidential Administration has announced. Attending the event will also be heads of state from Bulgaria, the Czech Republic, Hungary, Latvia, Lithuania, Poland and Slovakia, as well as the NATO Secretary General Jens Stoltenberg. Approached at the meeting will be major topics on the NATO agenda, with a focus on security situation in the Alliance’s vicinity, including in the Black Sea area, on combating hybrid threats and strengthening resilience, in the current international context.  JUDICIARY-The Romanian Judge Forum and the “Movement for Safeguarding the Status of Prosecutors” believe the Justice Minister’s proposal to pass a memorandum giving the Higher Council of Magistracy reasonable time to issue advisory opinions is not enough. Judges and prosecutors stress that magistrates are also disgruntled with the newly set up special division investigating offences in the justice system. On Monday, after a meeting of representatives of judges and prosecutors with PM Viorica Dancila, Minister Toader announced that a dialogue mechanism would be in place to ensure that the bills drafted by the government reach the Council at least 5 days ahead, so that they may be analysed, discussed and approved. He also said the Cabinet would scrap an article in the recent emergency decree, which allowed judges to become chiefs of prosecutor’s offices and which gave the Council plenum, rather than its prosecutor division, the authority to approve the appointment of senior prosecutors. Also on Monday President Klaus Iohannis asked the Cabinet to cancel the decree. Previously, magistrates in several major cities had protested against the new changes in the justice laws, and some prosecutor’s offices suspended work this week. The Directorate Investigating Organised Crime and terrorism also decided, for the first time ever, to suspend its activity until March 8, and to only deal with emergencies in this period. Civil society also rallied on Sunday night, in the capital Bucharest and other important cities. EPPO - The former chief of Romania’s National Anti-Corruption Directorate, Laura Codruţa Kovesi was heard on Tuesday by the Committee on Civil Liberties and the Committee on Budgetary Control in the European Parliament, as part of the selection of the first-ever European Chief Prosecutor. A French and a German prosecutor have also been shortlisted for this position. The new European Chief Prosecutor is appointed by the European Parliament and the Council. The European Public Prosecutor’s Office will be an independent body in charge with investigating and prosecuting crimes involving EU funds, including fraud, corruption and cross-border VAT fraud of over 100 million euros. The list of offences may be broadened in the future to include terrorism. The EPPO is scheduled to be operational by the end of 2020. ELECTIONS-The pro-Russian Socialist president of the Republic of Moldova, Igor Dodon, warned that unless parties agreed to form a government coalition after the inconclusive ballot on Sunday, he would call for early elections. His party came first, with 35 out of 101 seats in Parliament, followed by the ruling Democratic Party with 30 seats, and the pro-European Opposition with 26. OSCE observers noticed cases of vote buying, abusive use of administrative resources and obstruction of the voting process in the diaspora, but say that overall the election respected fundamental rights. ENERGY - Romania’s National Energy Regulatory Authority has decided to keep the current regulated electricity tariffs in place for household end-users after March 1. Following the enforcement of Decree 114, only the distribution tariffs are to be raised, by an average 2.5%. The Energy Minister Anton Anton explained that the Authority had been consulted prior to the adoption of the Decree last year, so as to make sure that household users are not affected by prospective price hikes.